Another Apple Store Opening In Charlotte; Future of the Cloud? There's a new Apple store opening at Northlake Mall, according to ifoapplestore.com, a leading tech website on all things Apple. The website cites a job listing and just-issued building permits for renovation at the mall as its sources for this bit of breaking news. Personally, I'm like okay, cool there's an Apple store opening at the mall that's 10 minutes away from where I live. Not that I'm an Apple fanatic--I don't own an iPad or iPhone, but I do have an iPod (that I received as a birthday gift and use most often when running)--but this new store will enhance Northlake's appeal and becomes Charlotte's second location (the first having been at SouthPark Mall for years now). But some of the tech sites and blogs are starting to go nuts in linking this new store to Apple's East Coast data center, the massive yet mysterious complex that has been under construction in Maiden, North Carolina for two years. Maiden is a small town about 45 minutes northwest of Charlotte. "Where will you get the fastest streaming speeds once iCloud launches? Most likely at the new retail location Apple is opening up a stone’s throw from its North Carolina data super center," reports CultofMac.com. It's long been rumored that Apple was developing a cloud service, and was speculated that this is what the new data center is for. As you know, Apple always keeps its big projects close to the vest. 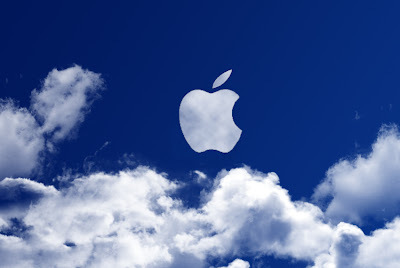 But the company finally confirmed the forthcoming cloud service today when it announced the topics that Steve Jobs would be discussing at the Worldwide Developers Conference on June 6. There's still no word on what the North Carolina data center will be used for, but this announcement only fuels the speculation that the 500,000-square-foot facility will indeed be home to the cloud. Apple's new service will be called iCloud (of course) and it'll be interesting to see how it differs from Amazon's recently unveiled Cloud Drive. For those of you who don't speak tech geek, "the cloud" refers to a service that allows you to store digital files that you can access from anywhere--similar to how you access email. So the belief is that consumers will be drawn to the fact that they can save large files and access them and not worry about what computer they're on or if they have their flashdrive with them. And this supposedly will be the future of how music is bought and stored, meaning one day that saving your music on an iPod will seem old-fashioned. It'll be interesting to see next week if Steve Jobs explains what role, if any, North Carolina will play in all of this.